While January is usually linked to forward-thinking and new beginnings, for many retailers, this month also means taking a step back to deal with items from the not-so-distant past. We’re talking about product returns, which usually spike in January, when less-than-satisfied gift receivers look to return or exchange products. Dealing with returns isn’t fun for retailers. However, when handled the right way, merchants can actually minimize returns or even capitalize on them. Check out the tips below to find out how. What’s the best way to avoid the headaches that come with product returns? Prevent them from happening in the first place. Taking certain steps to prevent shoppers from buying the wrong items can save both you and your customers unnecessary time and costs. Be more mindful of the sales and marketing messages that you’re putting out there. Are you being clear about what the product does, as well as who it’s for (and who it’s NOT for)? Unclear messaging can result in you attracting the wrong types of shoppers, which in turn can increase returns and dissatisfied customers. You can avoid this by advertising and marketing your products in an honest and accurate way. Instruct your associates to be more genuine when selling your merchandise. While they should certainly entice people to buy, they shouldn’t try to sell products if they’re not right for the customer. Ditto for your product descriptions and packaging. Clearly communicate the features and benefits of your products so shoppers know exactly what they’re buying. If you have an ecommerce site, you can minimize returns by being more visual with how you describe your products. Use size charts, diagrams, or photos that clearly depict the appearance of the items. Again, doing so will give people a better idea of what they’re buying, and they’ll end up more satisfied with their purchase decision. 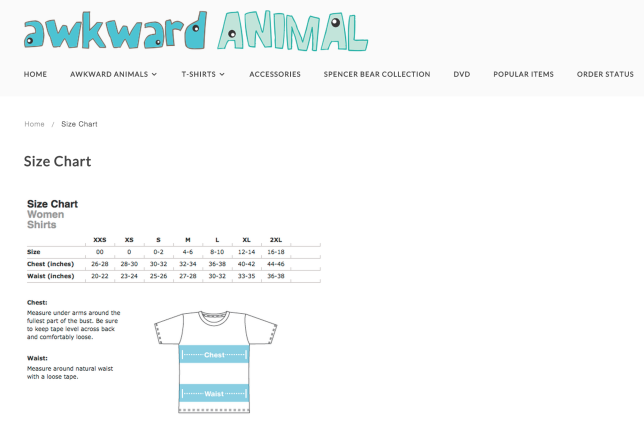 One example of a retailer doing this well is AwkwardAnimal.com, which has a very detailed size chart plus drawing to illustrate the dimensions of their shirts. 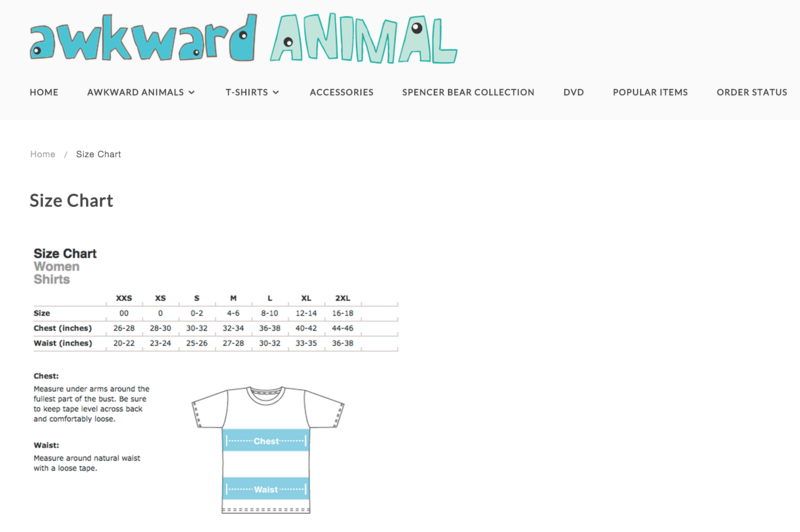 The site even has instructions on how shoppers should take their measurements, so they can select the right size. 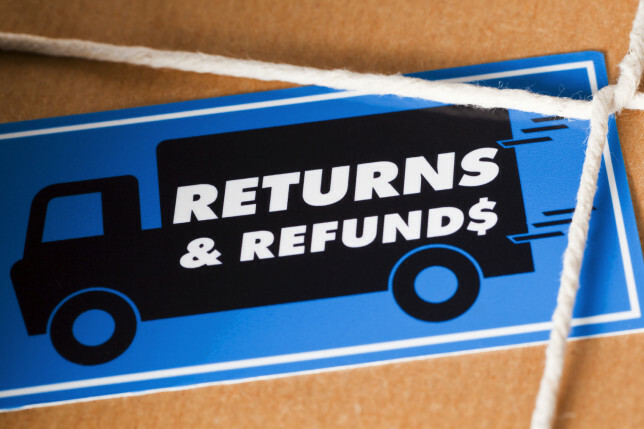 Poorly handled returns can lead to lower customer satisfaction, so see to it that each return is taken care of in a swift and professional way. The first step to accomplishing this is to create good return policies. Consistent across all your stores – See to it that your policies are implemented the same way across all your locations. Your return policy in say, your Chicago store must be consistent with the one implemented in your New York location. Clearly communicated to both staff and customers – When it comes to return policies, everyone should be on the same page. Discuss your policies with employees when you train them and make sure they understand how to process returns. As for your customers, it’s best to communicate your policy through multiple ways so they don’t miss it. 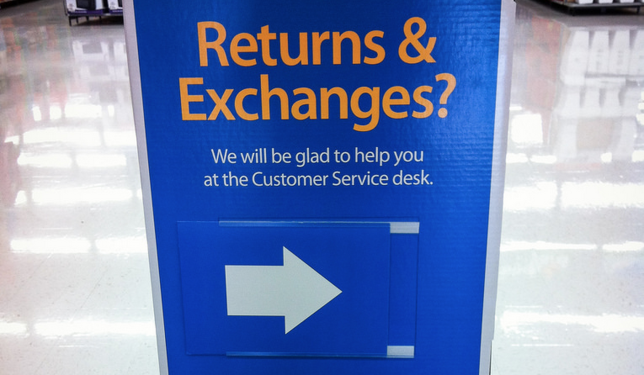 In addition to having a sign at checkout detailing how you handle returns, you may also want to print your policy on your receipts. In some cases, employees should also be instructed to verbally communicate your return policies. For instance, if you don’t accept returns for items that were put on sale, have your staff remind shoppers of this rule when they see that a customer has purchased an item from the clearance rack. A quick “Just a reminder, we don’t accept returns for sale items” should suffice. Some merchants are being more creative with their return policies. Take a look at what shopping membership site Jet.com is doing. At checkout, the website gives customers the opportunity to lower their total amount if they choose to waive returns, allowing the customers to save more money. Some retailers on the other hand, extend special return policies for loyal customers. Best Buy, for instance, has a standard 15-day cutoff for returns and exchanges, but extends that to 30 or 45 days, for its Elite and Elite Plus members respectively. It’s common for retailers to be more lenient with their policies for products that were purchased during the holidays. This is because merchants understand that many people buy gifts in early December (or even much earlier) which means shoppers who want to return their gifts in January won’t make the usual return cutoff of 15 to 30 days. That’s why some of the most prominent retailers choose to extend their holiday return policies. In 2014, for example, Toys “R” Us extended their return and exchange deadline to January 22, while Amazon allowed customers to get a full refund through January 31st for items shipped from November 1st to Dec 31st. Try to implement something similar in your business. Introduce a more lenient holiday return and exchange policy to entice customers and to give them a bit more leeway when purchasing holiday items. After a busy holiday season, it can sometimes be disheartening (especially for your staff) to see an increase in returns. To avoid this, it’s best to give your associates a pep talk to show them how much you appreciate their efforts. Doing so will help alleviate those post-holiday blues and motivate your staff to handle sales, customer service, and returns the best way they can. Promoting exchanges, store, credit, or gift cards over cash back helps you retain your holiday revenues, so instruct your staff to communicate these options to the customer before processing an outright cash return. Have them entice customers by reminding (in a non-pushy way) of the great products or gift cards that they can get in exchange for the item that they’re returning. Hopefully, this will get them to at least explore your shop to see what they can get out of their store credit. In retail, we take it as a given that returns are bad for the bottom line. But here’s the silver–maybe even platinum–lining: A return, at least one that is made in-store, means the customer is in the store! Never forget that a major upside to product returns is that they give you opportunities to engage and convert shoppers. So make sure that each person making a return has an awesome experience with your brand. Sure, it may not be their intention to make a purchase, but if you manage to impress them, they might just decide to buy something or come back at a later time. So how exactly can you wow shoppers who are returning products? Make returns quick and painless – Instead of viewing and treating the task as a chore, have your associates handle returns with a smile. Make the process swift and painless for the customer, and see to it that each shopper has a good experience. Make a great impression – You’ll want to make the best possible impression when a customer walks in. In addition to sprucing up your store and organizing your products and fixtures, instruct your associates to be on their best behavior. A lot of employees get hit with the “January doldrums” right after the holidays, where they become a little less active than usual, but this shouldn’t be the norm at your store. Dull staff behavior and lackluster customer interactions can drive shoppers away, so motivate your team to look and (and to actually be) busy during this time. It’s important to ask shoppers why they decided to return an item. Did they have any problems using the product? Were the instructions unclear? The answers to these questions will help you take steps to minimize returns in the future. For example, if you found out that customers are having frustrations using the product, then you could invest more resources in manuals or instructions. Are shoppers suddenly realizing that a product isn’t right for them? Perhaps you need to improve how you market and sell the item to ensure you’re attracting the right types of customers. Are you doing anything to minimize returns in your stores? Let us know in the comments. The post How to Deal with Product Returns in Retail appeared first on Vend Retail Blog.